Chancellor Carol Christ released a statement in support of transgender and nonbinary community members Friday afternoon, after news that the Trump administration is considering narrowing the definition of gender. If the U.S. Department of Education proposes changes to its civil rights policies, Christ said she feels confident that the UC system will respond. The UC and the state of California have separate laws in place to recognize transgender and nonbinary individuals, and these laws will remain unchanged, according to Christ’s statement. “We see you, we value you, and we recognize your important contributions to the life and culture of our campus,” the statement said. The campus is working closely with Billy Curtis, director of the campus Gender Equity Resource Center, to create an inclusive campus experience “for all,” Christ said in her statement. 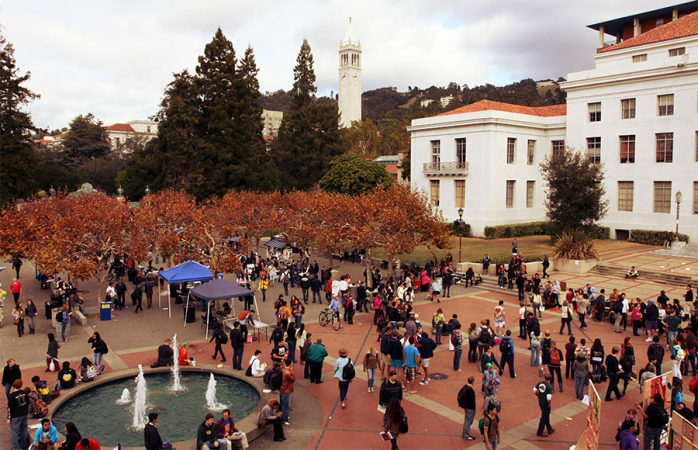 She added that the campus is also working to implement SB 179, known as the Gender Recognition Act, which will go into effect in 2019 and requires the state of California to recognize nonbinary as a gender designation on state documents. Anjali Shrivastava is an assistant news editor. Contact her at ashrivastava@dailycal.org and follow her on Twitter at @anjalii_shrivas.